Ten miracles tell the story of a Polish Jewish boy who survived the horror of the Holocaust and went on to create a life for himself in America. Arthur Neigut was a normal, happy 13-year-old boy living in Kraków Poland in 1939 when Nazi soldiers herded him onto a truck with the rest of his family and sent him to a Jewish ghetto. For the next six years, Arthur lived inside a nightmare. 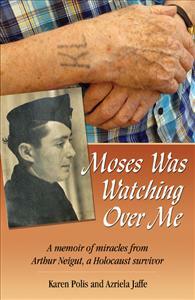 While building airplanes for the Nazis, he endured the life of a concentration camp inmate. This is his story, not just of his miraculous survival, but also of how he was left after the war with a surprisingly happy and optimistic outlook on life that is with him to this day.